When you have created your own custom mesh for Lara it is most likely to cause problems with Lara's joints. The joints will stretch out in a very weird way, messing up your new creation completely. This can be prevented by 'remapping the vertices' (vertice=point). But not all vertices need to be remapped, only those connected to a joint, like wrist, ponytail, neck. In this tutorial I'll tell you about how to remap the vertices of a new 'torch hand'. But the same steps need to be taken with a new head, new weapon hands, etc. - Open Strpix, load your wad and scroll down to the new torch hand. 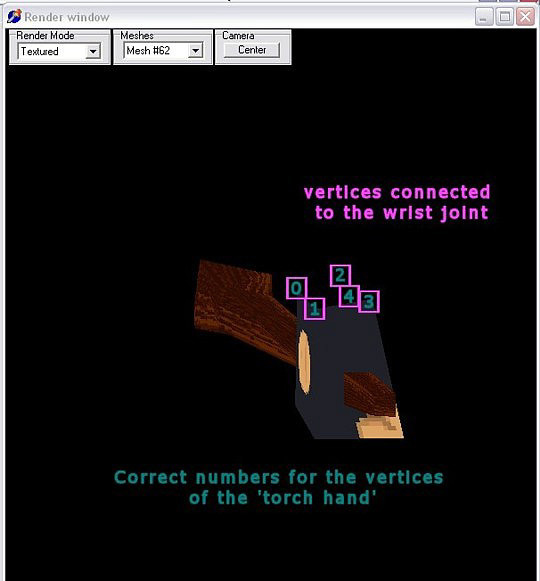 The top of the hand is connected to the wrist so those vertices (inside the pink squares) need to be remapped. - go into points mode. - select one of the wrist vertices by Ctrl+left clicking. The vertice number will appear in the left bottom corner of the Strpix screen. - Open the 'Remap vertices' window and type the number you just wrote down in the 'After' box. 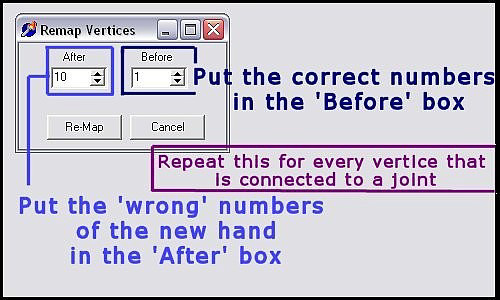 - Type the correct number in the 'Before' box and click the 'Re-map' button. 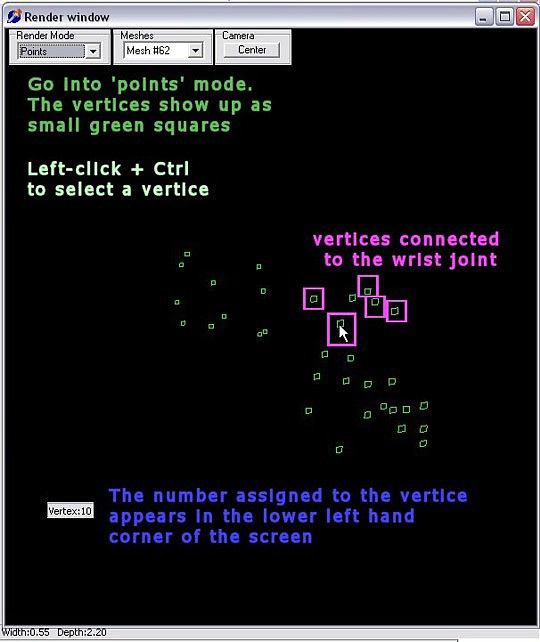 - Repeat the above steps untill all vertices that are connected to the wrist joint are remapped. What are the correct vertice values? - Go into 'Points' mode and left-click + Ctrl to select the vertices. Write down the correct numbers.